Welcome to our website for Eureka – West Shore Lodge No. 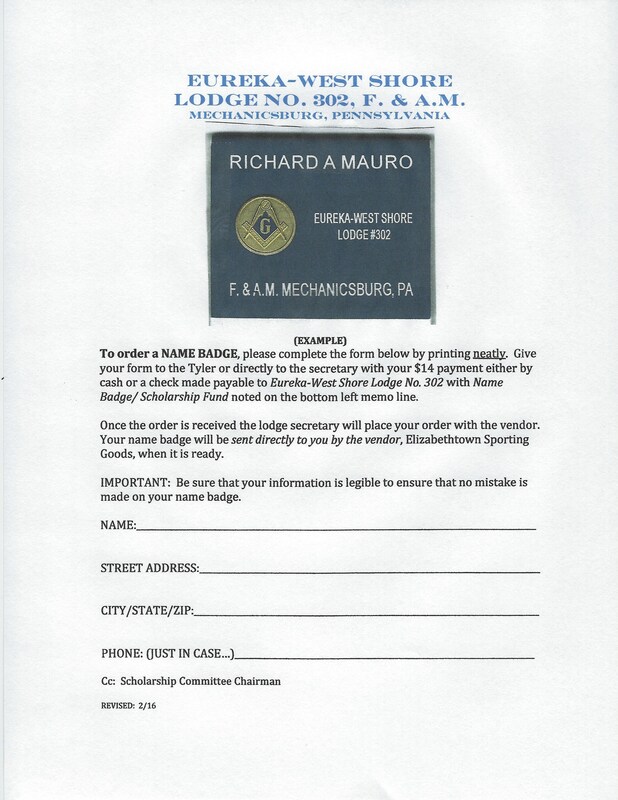 302 F&AM of Mechanicsburg, PA. where you can learn more about Masonry and about our Lodge. Remember we still have our canned food drive underway so check your pantry and bring in whatever foodstuffs you can spare to the Stated and Extra meetings! Notice to all Brethren, a form is available for you to print out and bring to our next stated or extra meeting to order a name badge to be used by you when you visit either our Lodge or another one. Please click on the link Mcbg302_name_badge_form for the form to order your name badge. Brothers: If you wish to attend the dinner before lodge, you must call or text Bro. James C. Upperman at 717-877-9395 to reserve a seat and to ensure there is enough food prepared. We are asking the Brethren for information on any Brothers who are home-bound and unable to attend Lodge Meetings. We need the ability to reach out to those Brethren and our present method does not provide the necessary information. You can click on this link to enter information about the home-bound Brother. Or please phone or e-mail the Worshipful Master or our Lodge Secretary with that information. 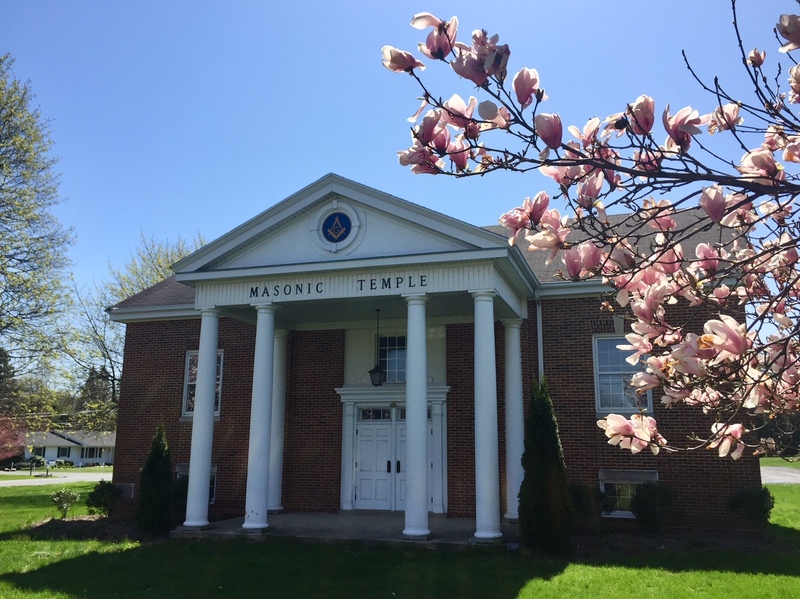 Then to learn more about Free Masons, click on the following link, Becoming A Free Mason in Pennsylvania. 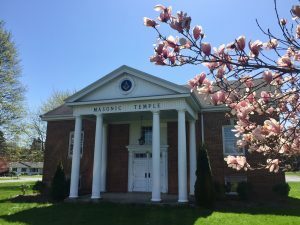 At this link, you will learn about how to become a Free Mason. Then possibly, you may wish to explore our site more fully. In particular, take a moment to view the Pix (pictures) page. We have only just begun to gather these priceless moments. 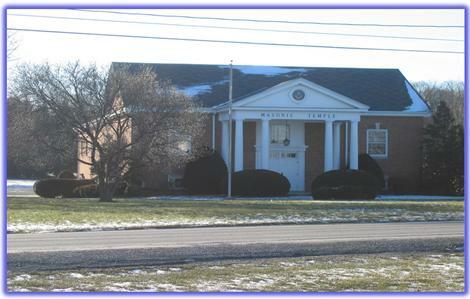 We are now collecting additional pictures from days gone by for all to enjoy. Let us know if you have a treasured picture or pictures. We will only borrow it and will return it in the same condition as it was received. If you have any pictures that you would like to share, please forward them to us by clicking HERE or bring them to our next Stated Meeting. We also have a presence on Facebook where the very latest information can be accessed about activities for our lodge. You can access our Facebook site via the link, click here. The emphasis of our website is on information sharing about our lodge and becoming a member and we will continue to add content and links. Please remember to visit our site often. Thanks for visiting.